Talbot in Blues and Golds 1, 2, 3 is a 37" X 18.5" Triptych on canvas. The original is sold, print only. (Select "Wall Preview" below for a room type, size and wall color to better view the art). 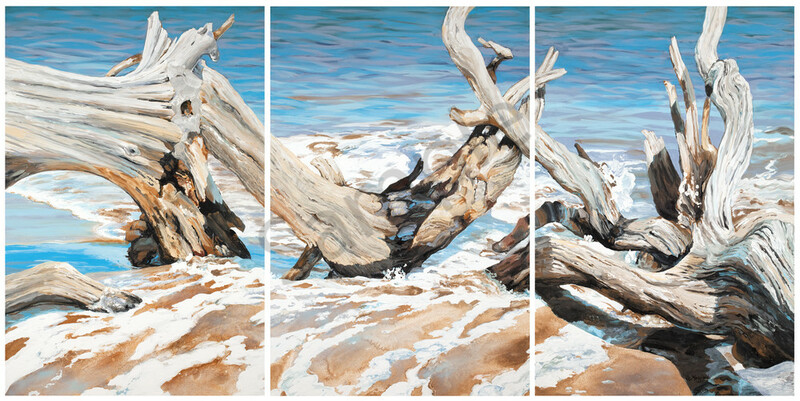 Talbot in Blues and Golds 1, 2, 3 is inspired from the south end of Big Talbot Island, a sort of boneyard of trees. (Select "Wall Preview" below for a room type, size and wall color to better view the art).